Lithonia Lighting 2-Light linear vanity fixture in brushed nickel finish, features die cast aluminum construction. The white acrylic lens creates soft light to the surrounding. 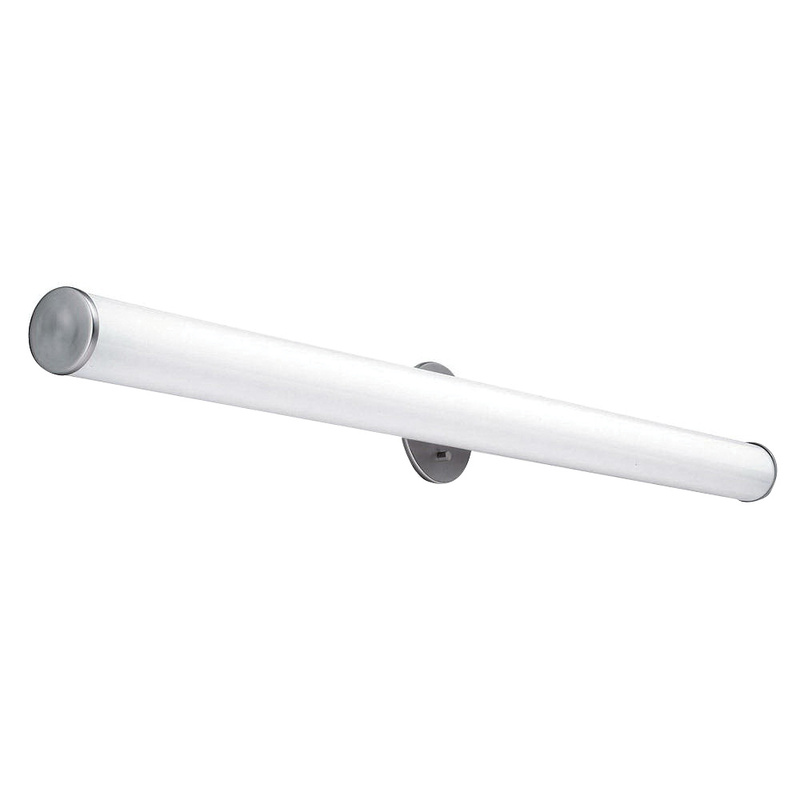 This wall mountable fixture features two 28-Watt 3000K T5 linear fluorescent lamps that have voltage rating of 120-Volts. Lamp of this fixture features 2-fitter head 120-Volt residential electronic ballast that regulates the current flow. It measures 47-Inch x 3-3/8-Inch x 2-7/8-Inch. It is ideal for non-dimmable switches. Fixture is UL/US listed and ADA compliant.